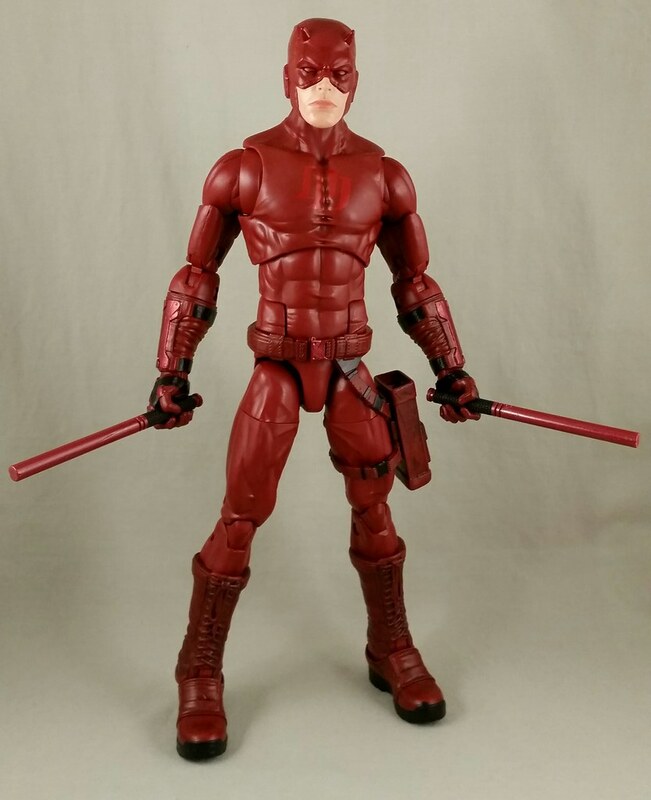 Daredevil shipped tonight. Should be here by the weekend. Last edited by DarkToyLord; 08-15-2017 at 09:02 PM.. Honestly the braille was probably my favorite touch to the entire set up. I remember when I first saw that they added that I thought it was very clever and it looks really cool too with this character too. I can't read braille though and have no idea what it says. It could say "You're an idiot" and I wouldn't know. Maybe it is online somewhere. Last edited by Bearjew; 08-16-2017 at 06:20 AM..
@Bearjew....... I think you'll be very pleased with it when it comes. From the packaging, to the figure itself, to the accessories. I think they did a pretty good job with this one and I look forward to seeing the pics you post of it. ..and if you CREATED this thread...props to you...it was time for the 12" line to get some shine. Though we'll have significantly less new product to discuss. But with 8 figures so far, and 2 on the way...that's not too bad a start. and YESSSS...we made it to page 2 of the thread...lol. Last edited by DarkToyLord; 08-16-2017 at 06:49 AM.. 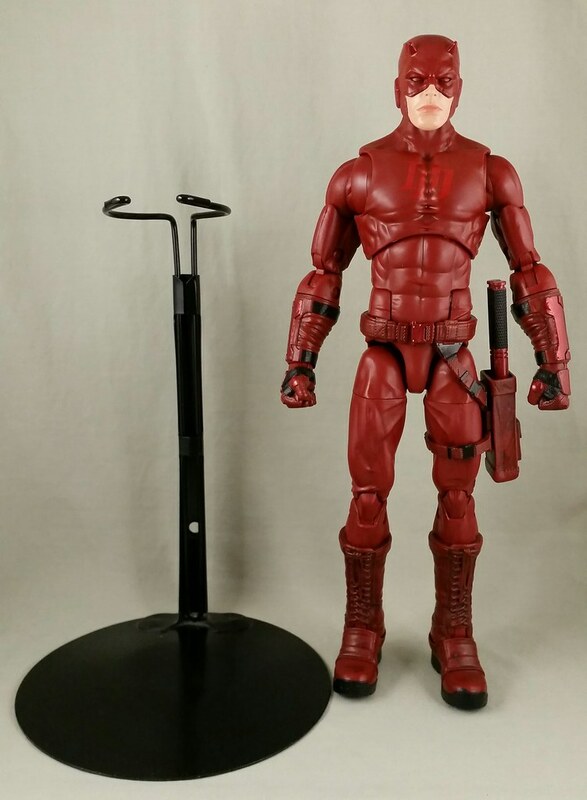 I bought a Deadpool at 36 on Amazon. I think his price might be about to tick back up. I had him in my basket yesterday, and it jumped up $5 overnight for some reason. I am really looking forward to it. I am almost wishing I had ordered two after seeing your pictures DTL. I may order another yet. and yes I did create this thread because it will be needed once this line catches on and it will, especially for the price of these figures. Soon people will realize how GREAT these are. 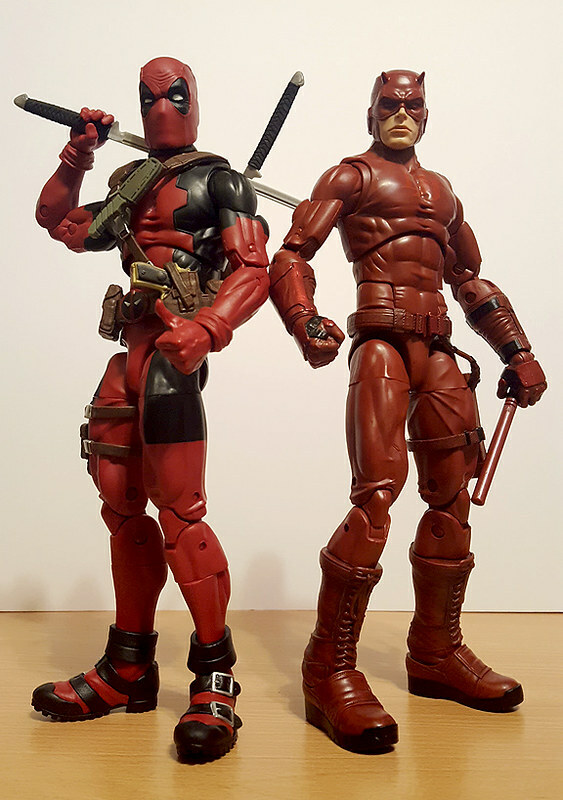 On a side note does anybody know when the variations of Deadpool will be released for this line, The X-Force TRU exclusive and Weapon X? I remember the information being released over on Marveltoynews a while back. I will be picking X-Force up for sure and maybe Weapon-X. I will need one for home because right now regular Deadpool is guarding my work desk. Last edited by Bearjew; 08-16-2017 at 02:40 PM..
i'm not sure i'll buy the Xforce Deadpool because truth be told i'm not a HUGE fan of this buck pool is on...it's okay..but i think it could have been better. unless i see it and am blown away...OR..i catch it on sale at some point. I may pass. you have a pic of this Weapon X version though?? It probably could have been better but I like it. 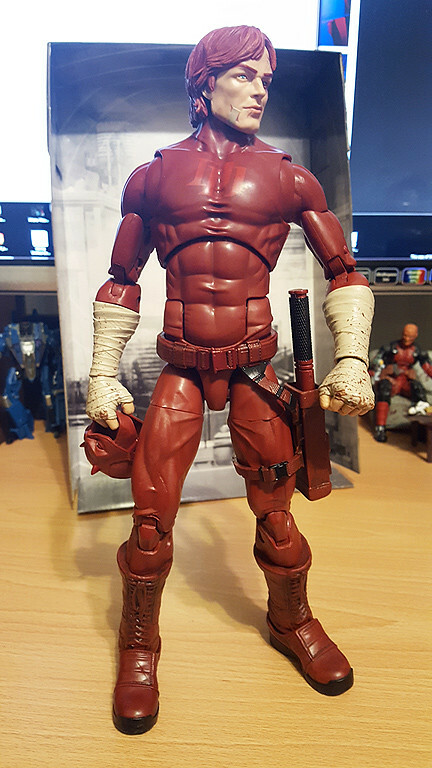 I am not even a huge Deadpool fan but I like this figure for some reason. I don't like the Weapon X version, I am not a fan of the painted on short sleeves. Seems like a cheap move on their part and cheapens the figure. Here are the pictures, I even got a link. yeahhhhhh....i'm not really sold on either one of those. ..and the Weapon X one looks like it'll be 15.00 about 4 weeks flat after release. I agree, it probably will be. 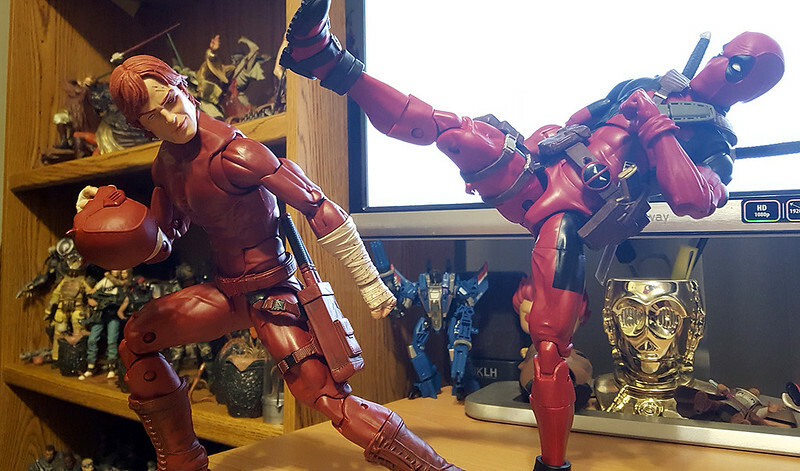 Since I have normal Deadpool on my work desk X-Force will have to do for home. I probably prefer the grey over the red anyway. I always liked the red eyes. On the bright side if he does fall to $15 he will make great custom material. Maybe a blue and yellow Deadpool. Plus I like the red sword grips. I just don't know what accessories they can put with these. The Headpool would be weird, the burrito makes since with normal Deadpool but not these. Repaint the weapons maybe. I don't know. Guess we will have to wait and see. Just in time for The Defenders. didn't even think about stands for these big mofos..
Where did you get your stand(s)? I'm using a Kaiser doll stand. You can buy them on Amazon in different sizes. I really like these because they are made of metal and provide a lot of support. 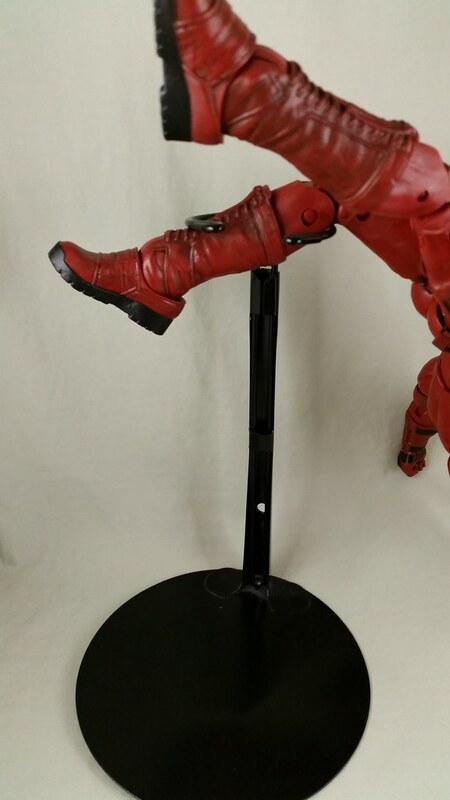 I originally bought the one in the picture for a Neca 1/4 Batman so it's too tall for a vanilla standing pose for the 12" Marvel Legends. But I think I saw a Shartimusprime review for an articulated stand for Hot Toys figures that would probably work for these too. 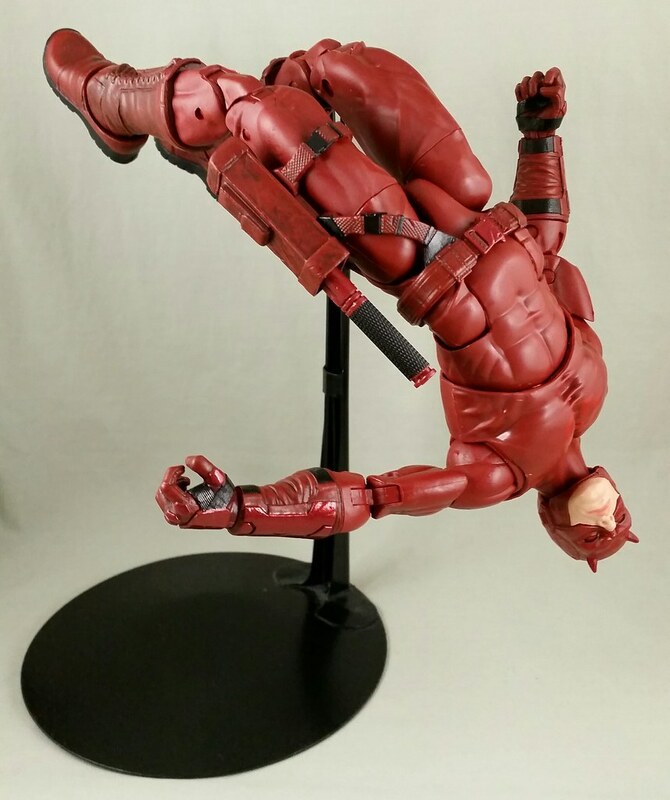 When I get a 12 inch Ghost Rider, Armored Daredevil ( From the Fall from Grace comic), or a 12in. Cable, I will consider stepping back into the 12 inch ring. 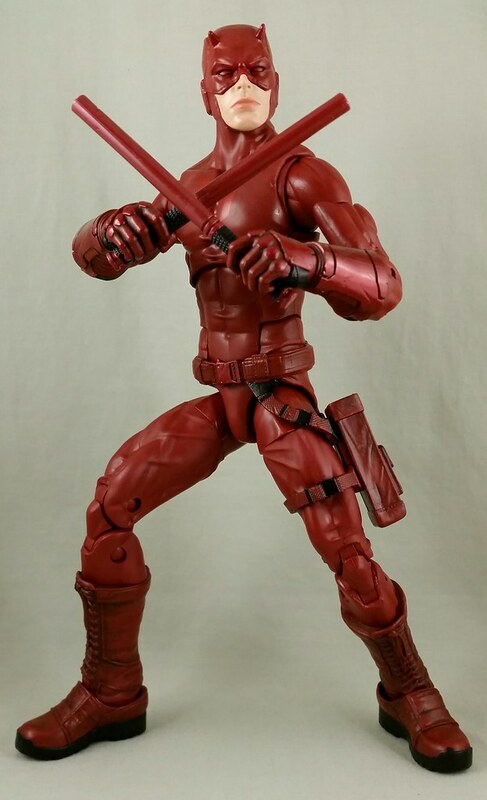 I have thought about the Deadpool just as a one off buy. And if Black Spidey drops in price, perhaps. That was one motivation for this thread. People need to know how good these are. 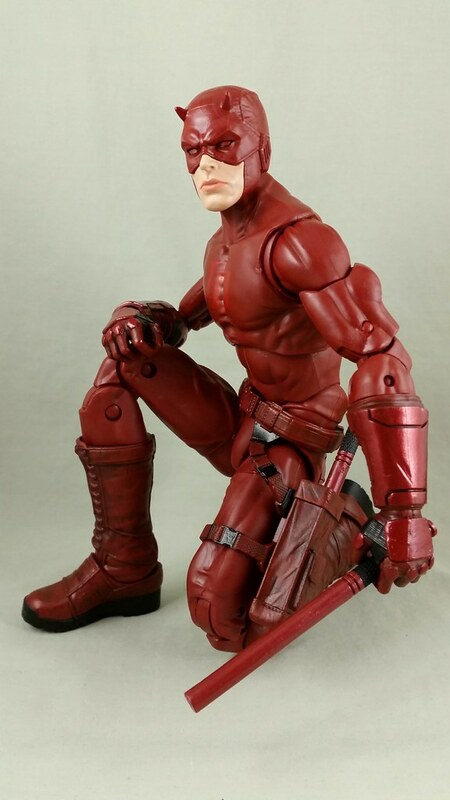 The line has great potential and must be saved so we can get cool figures like battle damaged Wolverine. The more people we get on board the less likely it is to die out. Great idea for a thread, BearJew and great photos everyone, they already make me a fan to come back & see more excellent shots. 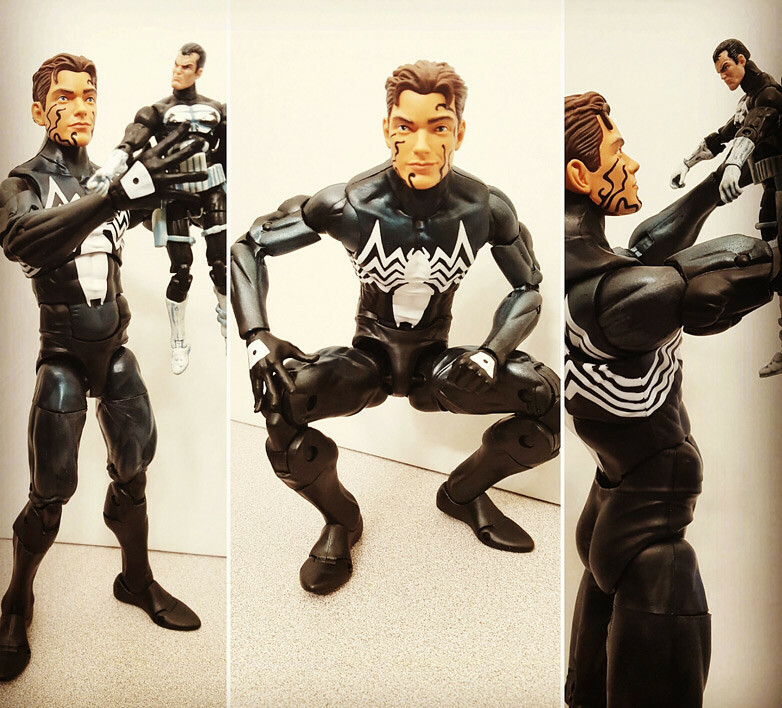 My symbiote spidey !! i don't plan on opening him though, considering my comic/toy room is starting to become insane in there lol i also do like how the box looks with that chromium look ! and i def feel you on how the toy room is looking. sometimes i stop and look at it all and am like.....W T F man ! !